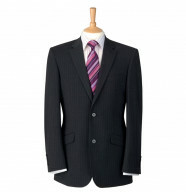 Make the ultimate professional statement in personalised corporate clothing. 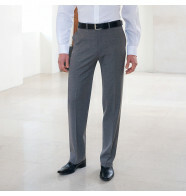 Shop a leading range of suits and trousers, ready to customise with your company logo or simply order plain. Free delivery on orders over £150! Smart suits and crisp trousers is a timeless style but modern innovations allow us to add a custom twist and turn a blank canvas into a branding exercise. Thanks to our in-house customisation facilities we are able to offer embroidered suits and formal wear so you can display your logo on them. 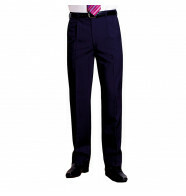 Our team of experts know how to keep designs subtle and classy so you can trust us to deliver formal clothing that you’ll be proud to show off. So whether you work in a corporate or educational environment or simply belong to a club you’ll find a range of sophisticated styles ready to personalise online now. 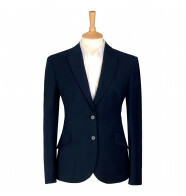 You can also order jackets, trousers and dresses plain if you would prefer. Simply add to basket and checkout in seconds. Delivery is made for free on qualifying orders and we can do so within as little as 48 hours if required.